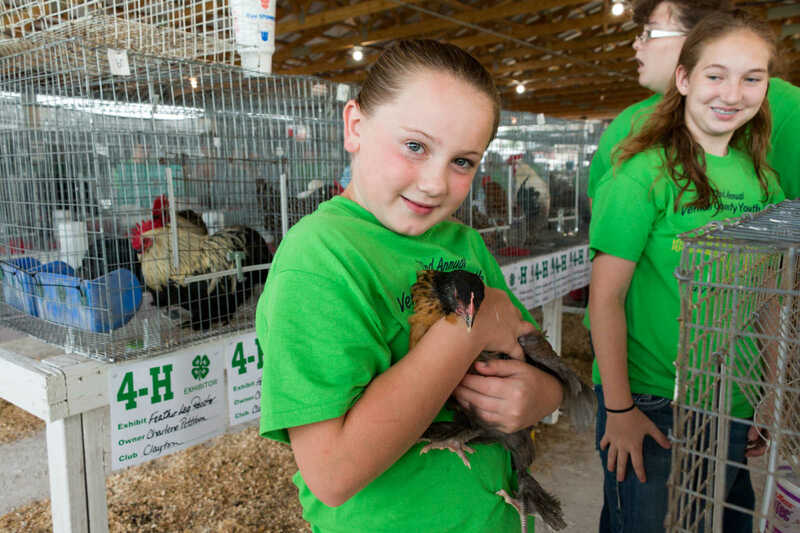 Preslee Bower with one of her chickens during the poultry show Thursday morning at the Vernon County Youth Fair. 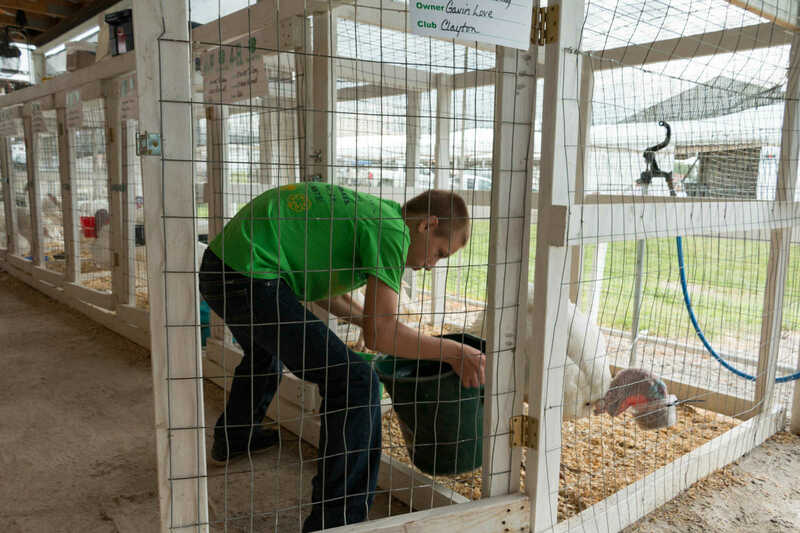 Gavin Love gives his market turkey a fresh bucket of water Thursday morning at the Vernon County Youth Fair. 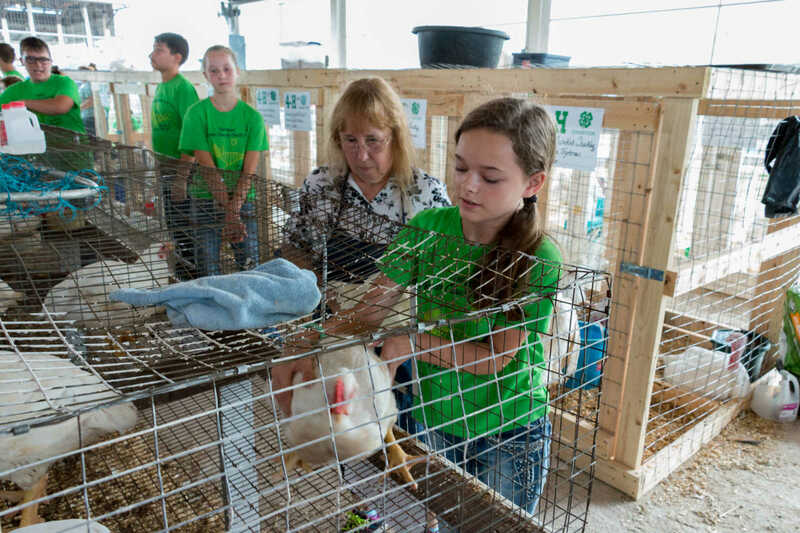 Mazie Bogart, right, shows ones of her meat chickens to the judge during the poultry judging Thursday morning at the Vernon County Youth Fair. 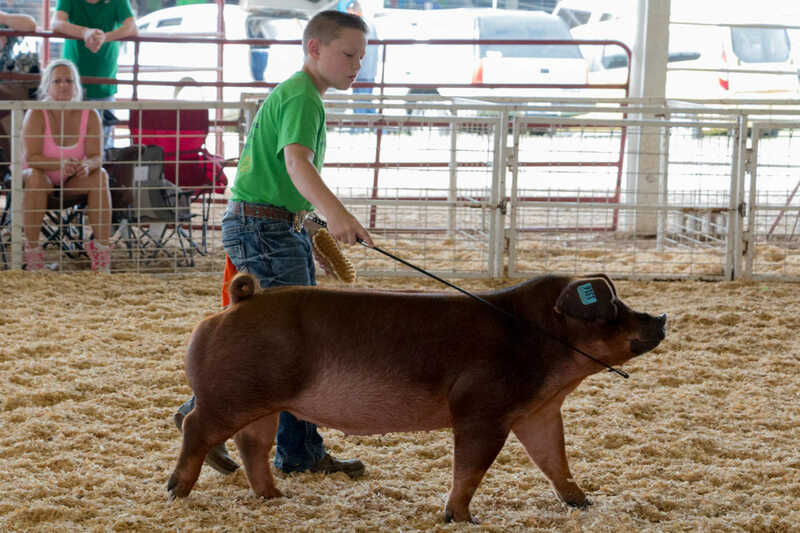 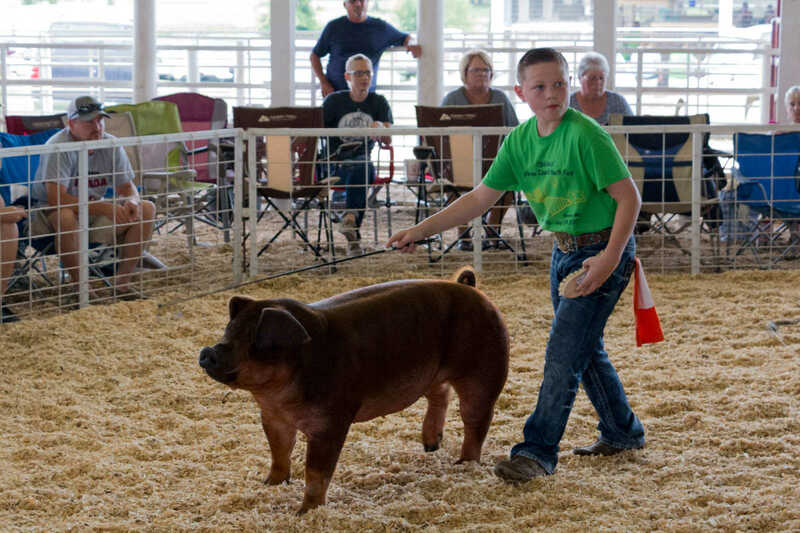 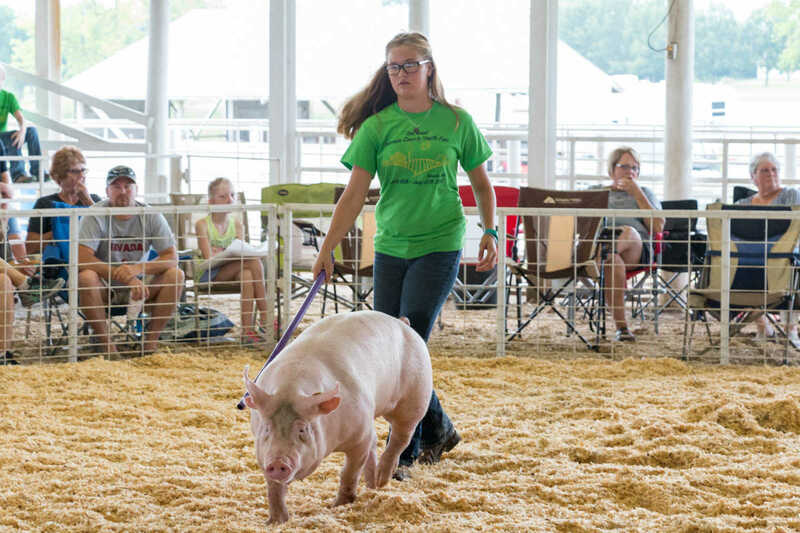 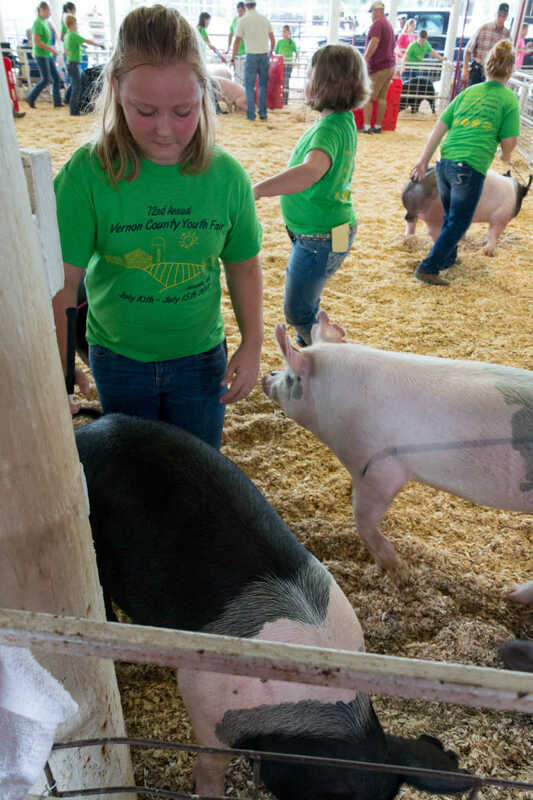 MaKaleigh Mather coaxes her hog around the show ring Thursday morning at the Vernon County Youth Fair. 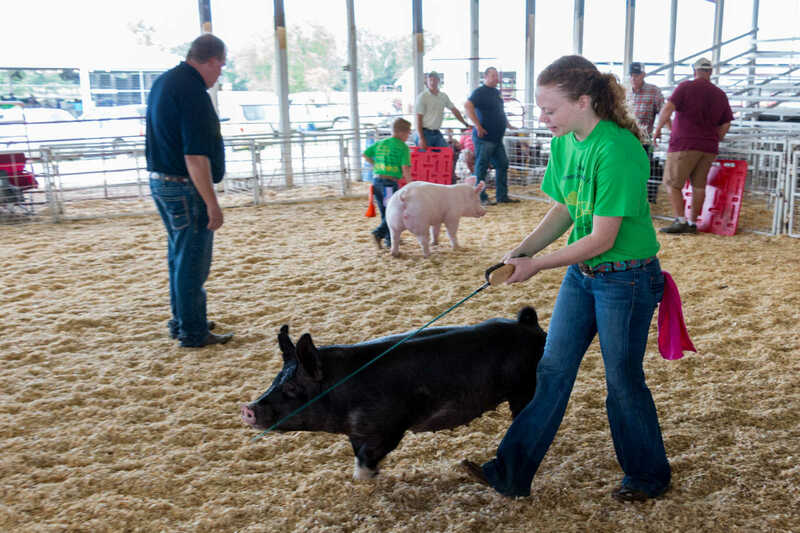 Alexus George moves her hog around the ring during the swine show Thursday morning at the Vernon County Youth Fair.